One of my good friends and regular commenters, DC from Young Adult Money, mentioned that the fear of failure is something that many millennials really struggle with because they were taught to not fail. It really struck a chord with me because it’s true. Our lives are so public these days, thanks to our love of selfies and over-sharing tendencies. Everything we do or accomplish, good or bad, is readily available for public consumption. Our fear of failure already terrified us, and now, with the advent of social media, our fear around it has doubled since it may no longer be a private event. This is the world that our young adults and children will only know, which makes it even harder to break free from the stranglehold of fear. Many will opt to do nothing, rather than potentially humiliate themselves. Of course, there is a price to pay for that mindset too. We miss out on potentially huge opportunities and wins. Things that could lead us to finding our passions, connecting with like-minded people and living our ideal life. 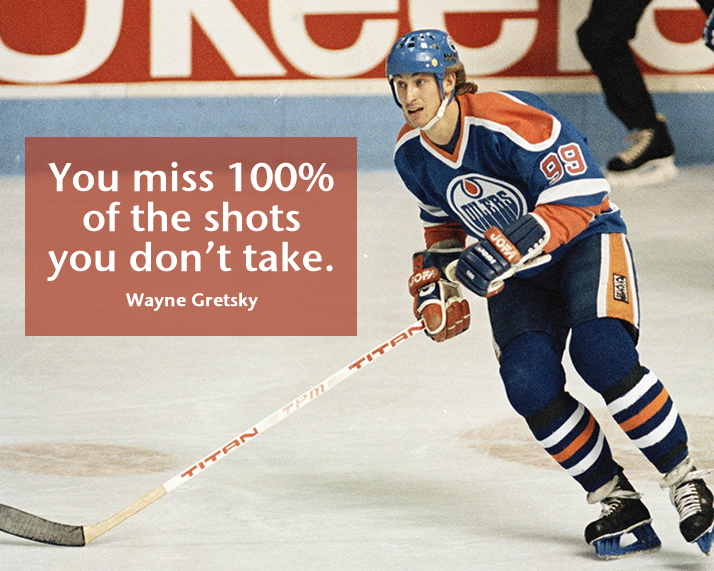 Tonya from Budget and The Beach and Aldo from Million Dollar Ninja shared with me a great quote from Wayne Gretsky that perfectly summed up why not trying isn’t a good option. I don’t want fear or failure, whether it’s money related or not, to hold my girls back from trying and suspect you feel the same way about your kids. First and foremost, we need to lead by example and conquer our own fear of failure. Now we’re in a position to help our kids build a healthy response to failure. I know that sounds odd, but the only way to avoid failure is to not attempt anything that matters to us. And that does not sound like a happy or rewarding life to me. So I’d rather teach my girls how to respond to failures, rather than cross my fingers and hope they never experience it. I’m an optimist, but I’m also a realist too. Fear of failure is a bit of a bugaboo. We don’t like talking about it, which just makes it harder to gain control over our emotions. But you can put yourself back in control with these 3 steps. Kids are surrounded by success stories these days. They go onto their various social media accounts and see their friends bragging (and sometimes grossly exaggerating) their accomplishments. Now I’m not saying people shouldn’t be proud of their achievements, they absolutely should be, but we need to remember that people sometimes forget to mention all the hard work (and failures) leading up to their victory too. 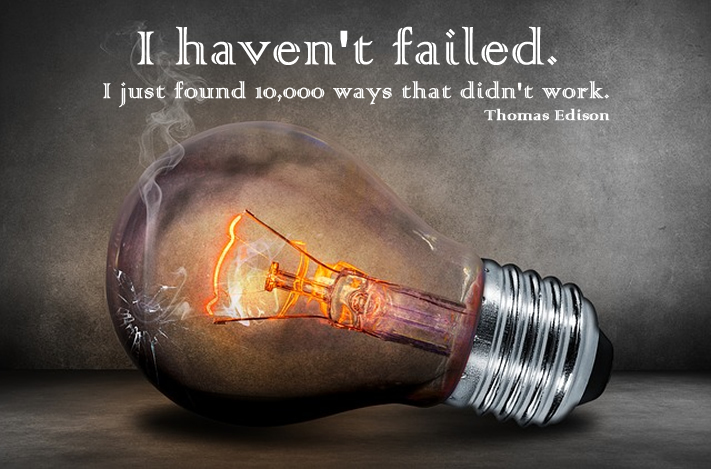 I wanted to share this quote by Thomas Edison again because it really can help change your perspective on failure. Thomas Edison didn’t try once and give up, but he tried over and over until he did it. To-Do: Have a conversation with your kids about failure and understand how they view it. If needed, help them redefine what failure truly is. It is not the worst thing ever. But an attempt that didn’t work. The good news is you can keep trying and now know one way (or 10,000 ways) that didn’t work. We like to pretend fear and failure don’t exist or that there is something wrong with feeling those emotions. That is not true. In fact, sometimes fear can be a very good thing. So make sure your children understand that those emotions are normal and everyone feels them. Right or wrong, labels matter when you’re a kid and no one wants the label of being a failure. This goes back to redefining what a failure truly is and adjusting your perspective. To truly understand that your so-called “failures” don’t define you. It is your response to your perceived failures that do. Make sure your kids know the difference. Often times we suffer in silence when it comes to our fears. We don’t want to open ourselves to ridicule or we were taught that having fears made us weak. Again, that’s not true. Everyone has fears. 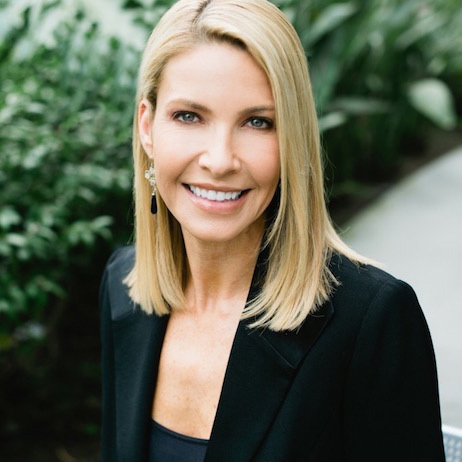 What I have found is that when I say out loud “I’m afraid of failing because of … ” it feels as though a huge weight has been lifted off my shoulders. Fear actually loses power when exposed. You discover your fears aren’t so big or scary as they felt when you kept them locked inside you. You now feel more comfortable confronting them and find resources to help you overcome your fears. To-Do: Be open to your kids about your fears and how you overcame them. 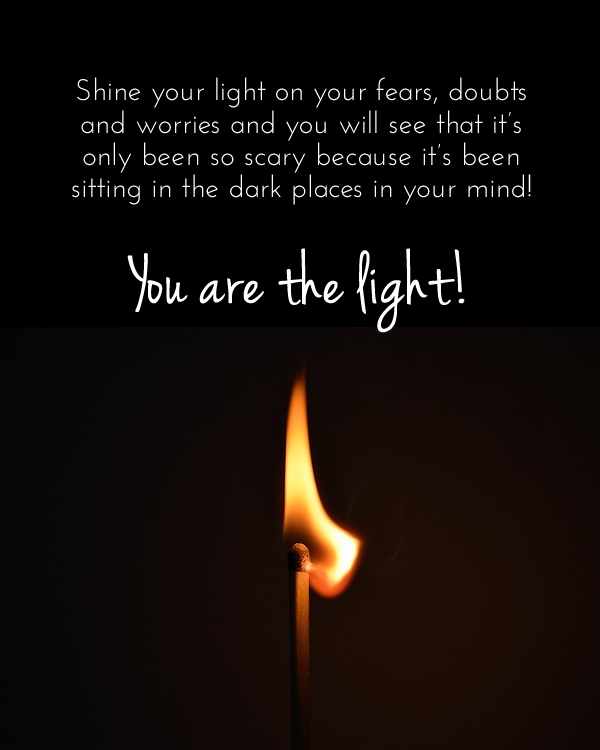 Demonstrate “I am afraid of failing …” so they learn to shine a light on fears, rather then keeping them hidden where they can grow to the point where they stop trying. Fear robs us of our confidence. We don’t believe we are worthy of our goals and/or have the skills to obtain what we want. The best defense against fear is faith and to laugh off mistakes. Faith in your abilities to achieve what you want, even if it doesn’t happen immediately, you don’t lose faith in yourself or your goals. It’s also important to helps kids see the big picture. As much as it may hurt in the moment and feel like a big deal, it’s one small moment in a lifetime of moments. A big picture perspective can help kids laugh off failures while helping finding the courage to try again. To-Do: If your children doubt their abilities to accomplish a goal, have them list out all the reasons why they will succeed. If they uncover that they truly lack a needed skill, now they can either learn the skill or seek help from someone who already has it. Why does our fear matter so much? Because fear will drive our money decisions. Remember, money is emotional. I’ve seen people make fear-based money decisions, and sometimes, they don’t even realize it. But because fear has such a strong hold on them they cannot enjoy their money. Note: It’s important to understand that our fear is not always readily noticeable to ourselves or even others at first blush. The one thing almost everyone tells me they want to find is their money happiness. And when fear directs your money decisions, it is very difficult to find the joy in how you use your money. Start talking to your kids about fear and the fear of failure now, so by the time they leave home, they know what to do when fear and failure tempt them to give up on their dreams and goals. Have your kids expressed any concerns about achieving goals or let fear prevent them from trying? How are you helping them overcome fear? It seems to me these days kids are under way more pressure, and then on top of it have social media to contend with. To me it seems the best thing would be to lead by example. 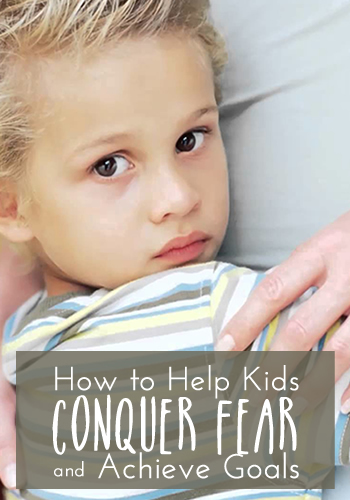 If you don't face your own fears, how can you expect your kids too? But if you show them how to face fears head on and that it's ok to mess up, I'm sure that's a more powerful example than perhaps just trying to teach a kid to get over their fears. :) Or at least I think the whole things is all encompassing! You are absolutely right, Tonya. Our leading by example is the best way to teach kids to face their fears, instead of hiding from them or being afraid to make a mistake. I know the girls pay close attention to how I respond to setbacks so I try to be honest in my temporary disappointment but also my resolve to continue trying. Showing children that to succeed is in part measure by how they deal with failure. That they can choose to learn from it and help them to get further towards what they want to achieve. Also to not focus on whether their friend can do something better than they can because we all have our strengths. As parents it is our job to help them identify what they enjoy and are good at and help them to excel. It's very true that we need to help our kids focus on their strengths and what they want to achieve, instead of getting caught up in how they compare to their friends. That's a dangerous habit for them to develop. Sadly, it is one too many kids develop and continue doing as adults. I could not agree more Shannon. While social media can be a great tool, one of the things I don't like about it is that so often all you see are the supposed successes and the belief that everyone is doing perfectly. Pair that with a fear of failure and I can understand how it grows. All that said, excellent point in it's the response that defines you especially as you can learn so much from those failures that can help you down the road in life. We've seen fear of failure in our kids and we try to encourage them through it to not use it as an excuse to give up but learn from it as well as trying to be transparent with them about our own failures so they see us living it out. Social media is definitely one of those mixed bags. It's great and it's not. People have false expectations about what life should be - it's not as perfect as some social media accounts would suggest. :) Yes, our response to failure is what matters most and it's important we teach our kids to view them as an opportunity to learn and be open about our own failures too. What a wonderful post! It really resonated with me because I think that it is definitely something I struggle with. I truly fear failure and I think that it really limits your opportunities as well as adds to regret for not doing and trying things. I think this is one of the most important lessons that I'd like to impart on my child so he won't get discouraged just because things didn't go his way. I heard another quote that was pretty cool: There are no mistakes in life...only learning experiences. I think that's a better way of looking at what people perceive as failure. Love the quote, Andrew. It's exactly how I look at mistakes - they are learning experiences. We may not like making mistakes but when viewed properly, they can actually be very helpful too. Great post as always, Shannon. Failure is something we all afraid of and it is sometimes hard to overcome. I believe society plays a big part on our fears because we don't want people to laugh at us and to talk about us. We definitely don't want others to ridicule us, so we often fall back to not trying to avoid any potential humiliation. I agree fear of failure never completely goes away, but you can definitely dilute or reduce it's stranglehold on you. My hubby and I were just talking about this the other day that as parents we have a really difficult time seeing our child fail, but we would much rather encourage him to shoot for what he wants and support him if he falls short than try to overprotect him from these life experiences. There is nothing wrong with failure, but there is a lot wrong with never trying to begin with. Watching our kids struggle is one of the hardest things a parent has to do. So, so tough, but I definitely don't want the girls to not pursue a goal because they are afraid of failing. Plus, being able to spring back from defeat (and knowing they can) is a powerful lesson too. Love this Shannon! And this isn't a problem unique to kids. I was just talking last night to my wife about something I was considering but was afraid I wouldn't be up to the challenge. The fear of failure, fear of the unknown, fear of our inadequacies, fear of people's reaction, fear of the risks...it all holds us back. Thanks for the encouragement! Thanks, Brian! We, adults, definitely fear failure too. I'm glad I could help and I certainly believe in you, Brian! While I can't speak to having kids, I can say that no one has inspired me or influenced me more than my parents in terms of success and achieving. They constantly encouraged me and told me that I was so much smarter and capable than I ever was. To this day, I really think I can accomplish anything because of their encouragement. Love it, Natalie! That makes so happy to hear how supportive your parents were and how they encouraged you to believe in yourself. Proof that we all need to do the same with our kids! I had a huge fear of failure when I was a kid. I actually wouldn't do something if I didn't think I could be one of the best. Luckily, I was good at academics or I would probably be working at McDonald's right now! My daughter is amazingly like me in personality and I can already see that side of her starting to show. I hope I can let her know that it's OK to fail as long as you tried your hardest and learned from your mistakes. I will also share some of my failures with her as she gets older. My Mom never really tried to do anything outside of her comfort zone and my Dad would never admit to failing at anything, so I never really got that talk. I think many of us did the same thing. If we didn't think we would the best or at least successful, we wouldn't do it. Why expose ourselves to ridicule? I'm glad you're going to talk to you daughter about your experiences so that doesn't develop that same fear. Everything you have shared about her indicates a smart girl who I have no doubt can do whatever she puts her mind to accomplishing, just like her Mom! I'm glad you wrote a post about this, Shannon! I think it's really important to give kids confidence - especially in their times of failure. I definitely have a fear of failure, but like I said, I think most millennials do. We are expected to succeed, and social media has really re-iterated that. For the most part people do not tweet/facebook about their failures, and it's super easy to put on a fake persona. It's very true that you rarely see people share their failures. Social media makes very easy to create a perfect life and we all know that doesn't exist. We experience highs and lows. I absolutely agree it's important to give kids confidence and the skills to handle failures. I have to admit, I haven't experienced much failure in my life. I've always been (relatively) successful at everything I've attempted in life, so yes I'm still (somewhat) afraid of failure. But I'm working on it. Fear of failure is something almost all have to an extent but even knowing it - goes a long way to preventing it from taking over your life. Failure doesn't put you down it only leads you to the right path. It only means that you need to begin again but this time more wisely because you have already learned in your past failure. Always remember that success is built from success. You cannot have something in just one try, no one is perfect.